JULY 20, 2015 • The Johnson Systems retrofit products have been absolutely instrumental in allowing us to keep our dimming system functioning, as well as substantially expanding it's flexibility and capability. 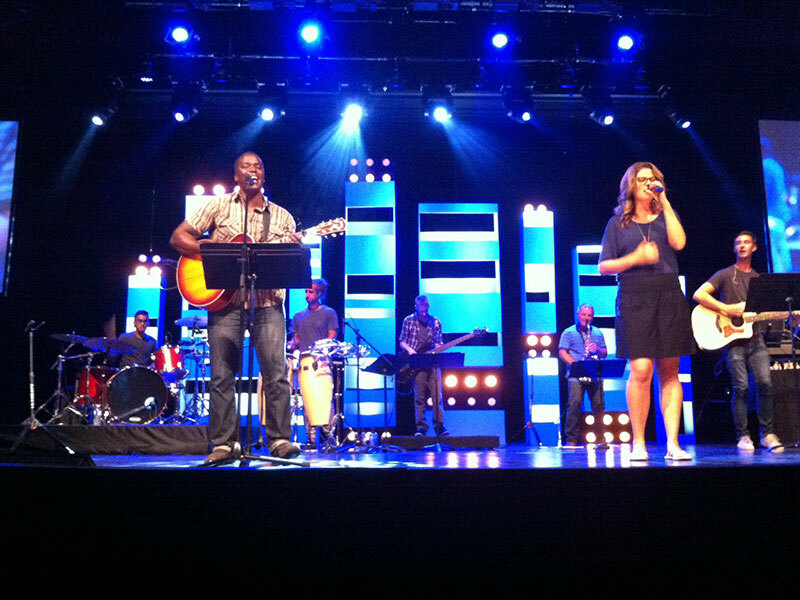 When our auditorium was expanded to 2000 seats fifteen years ago and two 96 channel Strand CD80 racks were installed to handle the lighting loads, the designers thought their capability would be all the venue would ever need. It didn't take long for the system's shortcomings to become evident. With 192 channels of dimming and nearly three million watts of total power available, there was absolutely no provision for any type of load other than tungsten. 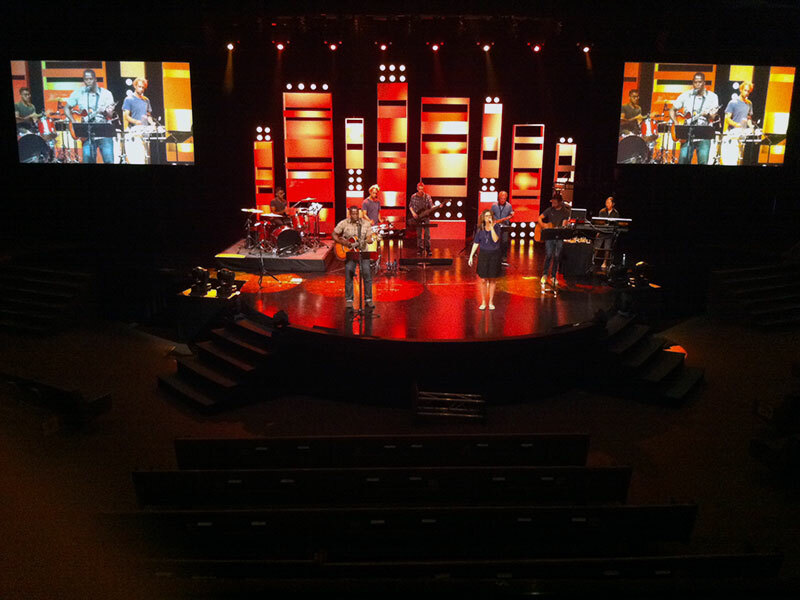 As Trinity Church gradually acquired numerous intelligent fixtures of various kinds, from scrollers to movers to LED PAR's, there was plenty of power available, but exclusively dimmed power, and often not enough of it where it was needed most. 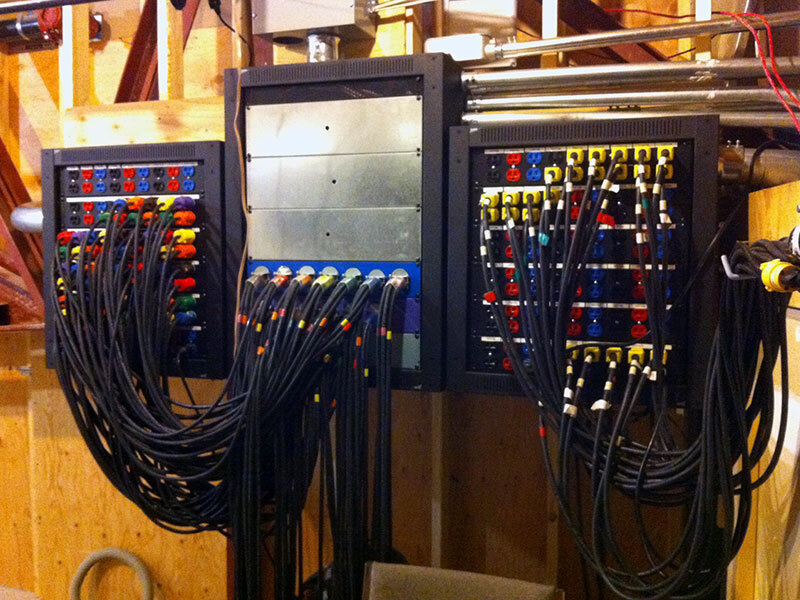 It was when the first of two Supervisor processors failed that I first stumbled across Johnson Systems and their CD-3000 retrofit controller, and a plan was born to overhaul the entire dimming system to meet our current and future power distribution needs on a budget never before possible. 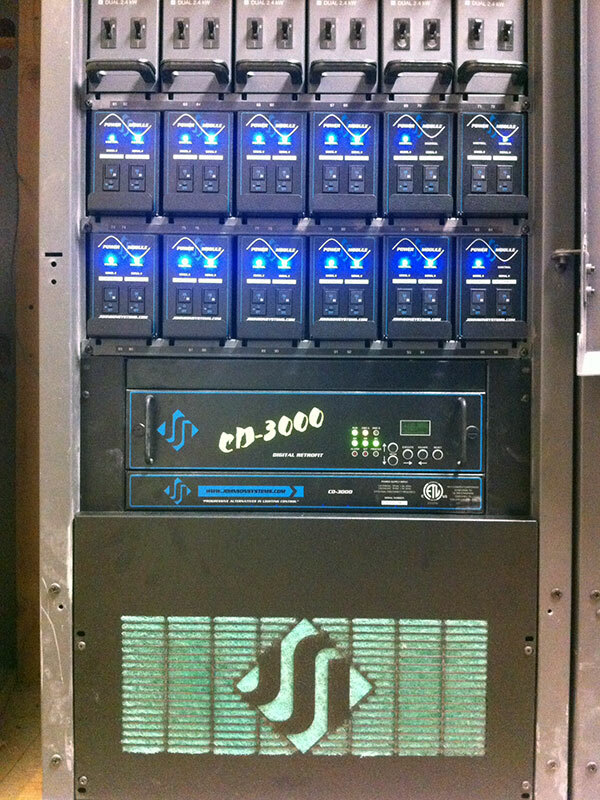 Two (2) CD-3000 Control Systems now comprise the brains of our two CD80 racks, eliminating the worry of repeat processor failures in the future, and a dozen CD80PM-SV Power Modules, along with a custom built patch bay, allow non-dim loads to be plugged in anywhere there was previously only dimmed power available. Even better, the power modules allow all such non-dim loads to be switched on and off via DMX from FOH, eliminating the need to climb the stairs up to the electrical room above the stage before and after every use of the room. Not only did Johnson Systems products make it possible to achieve the power distribution we needed on a fraction of the budget, their service and response time all along the way has been second to none and installation an absolute breeze. I have no doubt that we will continue to rely on their products for years to come as our lighting system continues to evolve along with the technology and techniques we use. 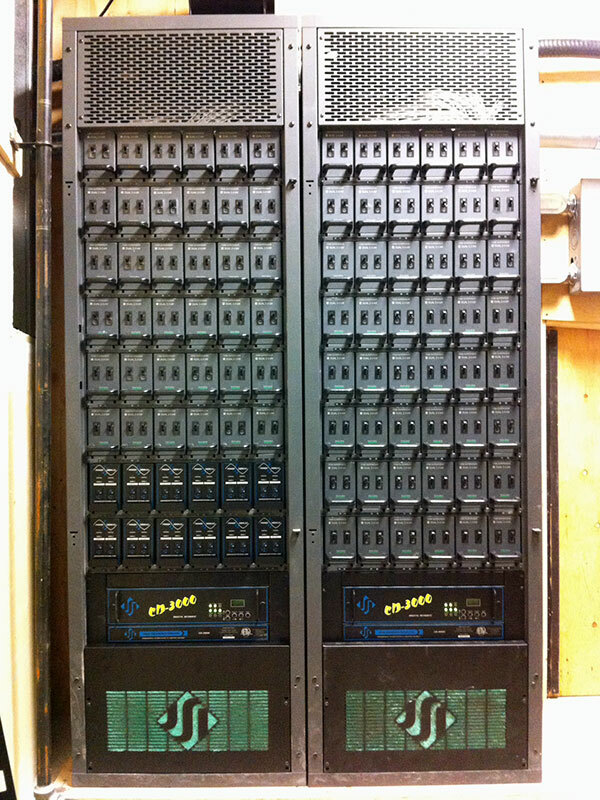 → CD80 Supervisor Racks upgraded with CD-3000-SV Control Systems. CD80 PM-SV direct plug Power Modules. 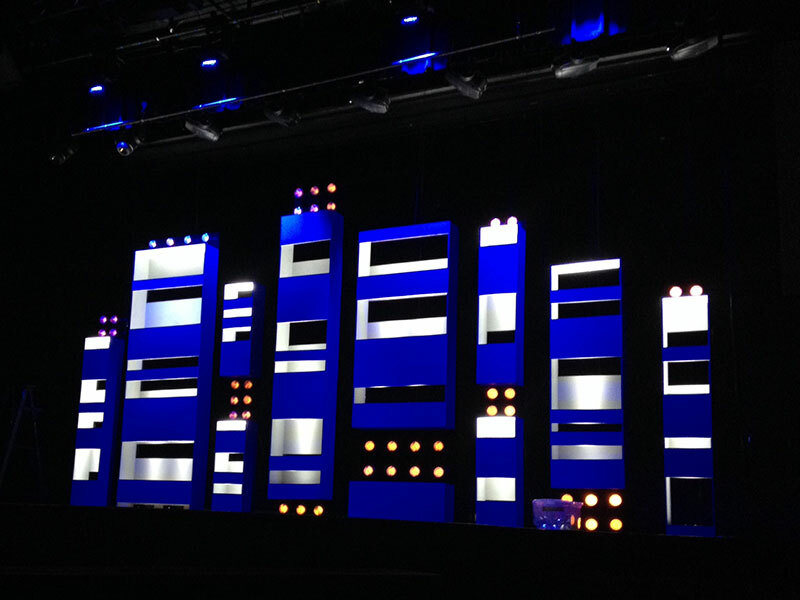 → Set Design by Joel Armstrong, Technical Director.